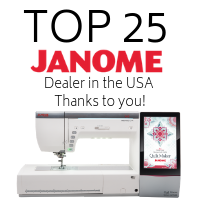 A full-featured machine made with a quilter's needs in mind the 3160 QDC-B will deliver all the benefits of a top of the line model and with an affordable price. 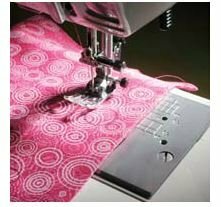 You'll find 60 stitches including 6 one-step buttonholes. 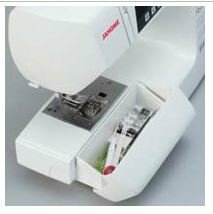 Janome's Exclusive Superior Plus Feed System offers specialized box feeding on top of Janome's SFS system ensuring even stable feeding with any fabric. 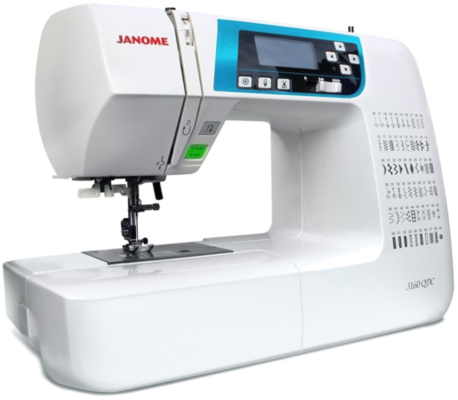 And the time saving features including memorized needle up/down one hand needle threader and lock stitch button make sewing easy. Best of all this full-size machine weighs only 12 pounds so its easy to take to classes and guild meetings! 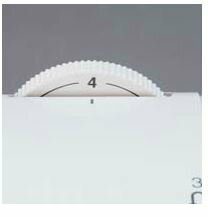 Unique needle plate gives you easy measuring! 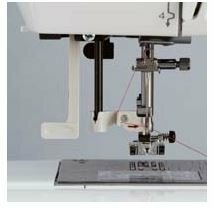 Pull down lever stays down for effortless threading every time! 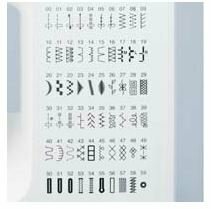 Choose from 60 stitches including 6 one-step buttonholes! Store all your accessories in one easy-to-reach location! Just turn the dial to adjust the presser foot to one of size pressure levels. An extra-long free arm gives you the ability to sew in tight places. 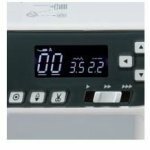 The large day glow LCD display makes your stitch number width and length and foot recommendation easy to read. This item may only be purchased in our retail shop.